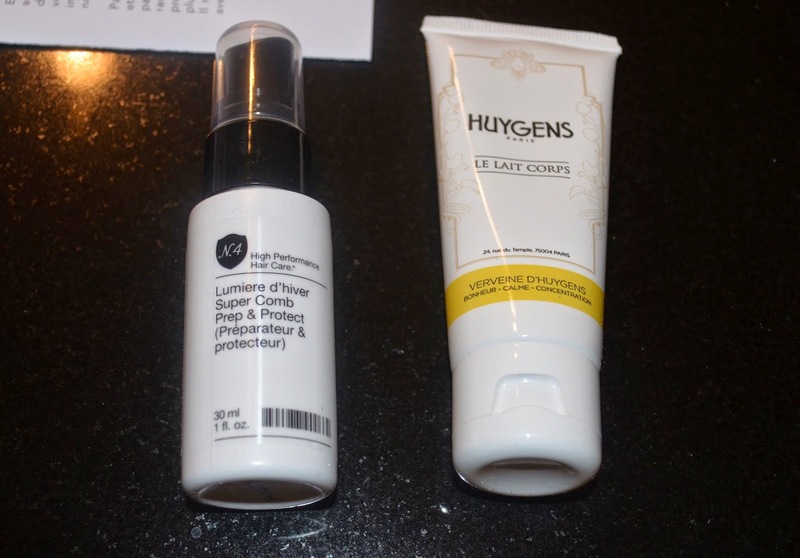 One reason i started reading beautyblogs is that i love trying out new products. So by nature, beautyboxes appeal to me. For a relatively small amount of money i get to try out a lot of new brands and products i probably would have never gotten to know otherwise. I have a Glossybox subscription, but since they do not deliver to Belgium, i get it delivered to my family in Germany and i usually get than 3 month in one go and looong after everyone else. So when i heard that the Birchbox would come to Belgium i signed up immediately. After fighting myself through the french only website, my first box finally arrived. Unwrapping a new box alwys feels a bit like christmas to me, so i thought i share this moment with all of you. I have to say, the first box for sure was no dissapointment. I will show you in a bit more detail what goodies i got. A natural french bodymilk. Apparently this one is an exclusive for Birchbox and contains apparently verbena (i guess i am vampire proof then?) and a cocktail of three peppermints (that is if my french is halfway correct) and is made to 99% of natural ingredients. Well when there is one thing i am always up for than it is bodymilks so i am curious to try out this one. 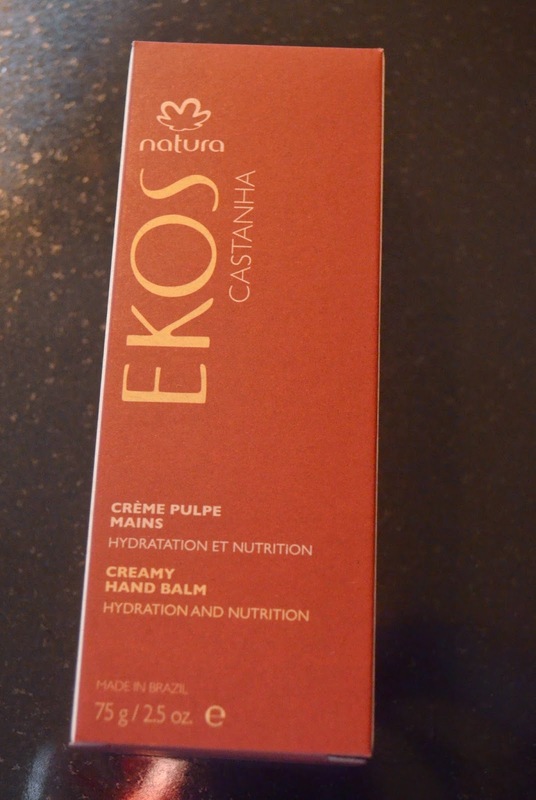 Natura Brasil Ekos Hand lotion Casthana (full size 75g -15EUR, i got the full size yaaay) According to the advertisment, this is a number 1 cosmetics brand in Brasil (i will ask my brasilian friends about that later). Also this lotion is made of natural ingredients and is supposed to hydrate my hands and fortify my nails. Where other girls collect their lip balms, i am a huge fan of handlotions (lab work really dries out hands), so this is a very welcome addition. Update: I just talked to my brazilian friend and she said it is indeed the number one in brazil and she says its amazing, in fact she has been searching for it here like crazy cause its harder to get. So yes, now i am even more exited. 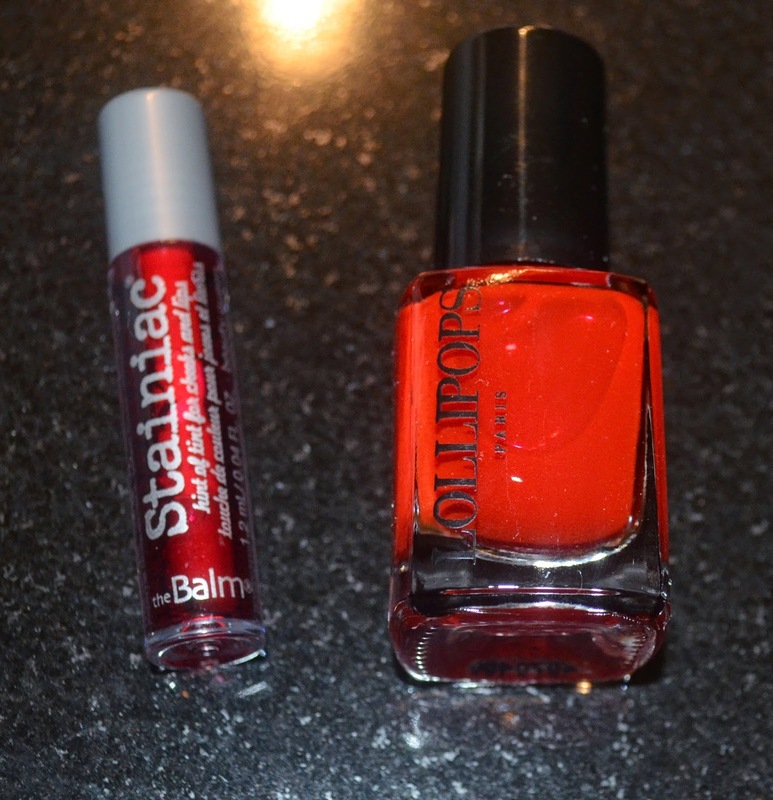 One sample which could have been a bit bigger for my liking is the staniac-beauty queen by the balm (full size 8,5g -13,50EUR, here 1,2 ml). This stain doubles as lipgloss and as blush. I heard great things about the balm and i am super exited to try this. The last product is the Lollipops nail polish by Voyage à Paris (full size 12ml - 8,90EUR, no indication on the package but the size tells me that this is the full size i got). I love the color. It might appear a bit orange on the picture but let me assure you that it is a beautiful deep red. So in total i am really happy with my first box and i am eager to try out all of this. Let me know if you would like a review of any of those products. Did you subscribe to birchbox? What did you get in yours (also eager to hear about other countries birchboxes). Let me know in the comments.